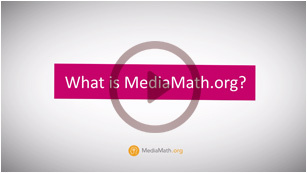 MediaMath.org is MediaMath's philanthropic arm. It is founded on the simple idea of integrated philanthropy: combine charitable giving with MediaMath’s technology and talent to help improve communities around the world. MediaMath.org is a Pledge 1% partner, pledging 1% of our time, technology and resources to charity. Since its founding in 2016, MediaMath.org has focused on high-impact philanthropy — meaning we help those who need it most, via charities that demonstrate proven effectiveness. 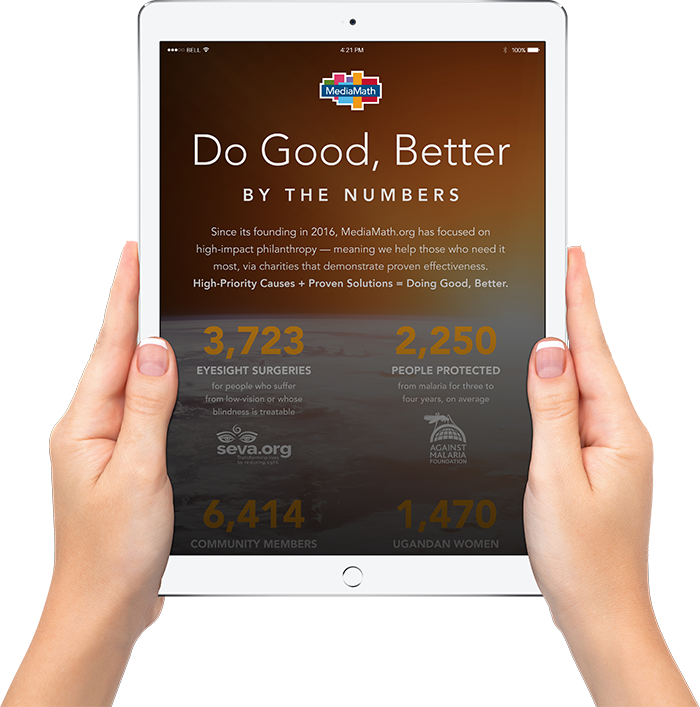 Leveraging all of MediaMath's assets - our Technology, People and Financial Resources - to develop and run programmatic marketing campaigns for charities. MediaMath matches employee donations and provides grants to select charities, focusing on causes that tackle extreme poverty in developing countries. Employees are entitled to three days each year to support the causes they care about in the communities in which they live and work. We focus on doing the most good – this means focusing our resources on the 13% of people living on less than $2.00 per day. Some charities are more effective than others. We support charities that demonstrate measurable impact. 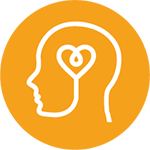 To learn more about effective giving check out The Life You Can Save's recommended charities and their impact calculator. We believe doing good is more than just giving away money. We put our expert employees to work for causes that matter. For every 20 Campaigns in TerminalOne, MediaMath will fund a sight-saving surgery for someone who suffers from low vision or whose blindness is treatable, via our charity partner, Seva. For the 35 million people in developing countries, blindness is a disability that can strip them of their livelihood and condemn families to extreme poverty. With a vision of a world free of avoidable blindness Seva partners worldwide to create self-sustaining programs that preserve and restore sight. Read more about this program on our blog or contact Michael Quinn to get involved.